With the attacks on the French magazine "Charlie Hebdo", a new debate on free speech started, aksing i.e. 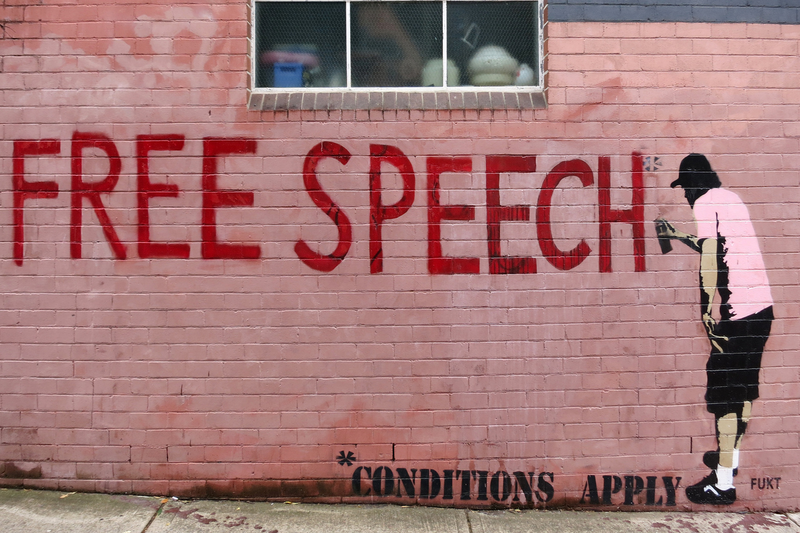 where does freedom of expression end and where do xenophobia and defamation begin? Does Islam allow for critical self-reflection? In 2011 we organized a conference in Beirut, adressing those question. This is a documentation of the essays, that were supposed to be published and are listed to below the foreword. The collection of essays in this volume aims to situate Muslim-Western encounters in the post 9/11 context. These encounters have involved processes of mutual denunciation as well as inclusion. The categories ‘Muslim’, ‘Western’ defy precise definition. As factors of time and space collapse so do these categories. For, there is synthesis of the Muslim-Western and the Western-Muslim – some of these reflections derive from scholars who are at one Muslim and Western. This gives the essays a special flavor inviting provocative thinking on how to redefine the parameters of a complex debate. These reflections are supplemented by equally reflexive inputs from without these categories. The aim is to provide the reader with ideas that widen the horizon of how we address the mutual process of inclusion and exclusion of the categories ‘Muslim’ and ‘Western’, departing from themes and topical issues ranging from the question of the 2005 Danish cartoons to that of overall Islamophobia. Since the ‘Salman Rushdie affair’ erupted at the end of the 1980s, when a fatwa issued by Iranian’s supreme leader Ayatollah Khomeini requested Rushdie’s execution on the grounds of blasphemy, there have been frequent outbreaks of public outrage across the Muslim world over Western depictions of Islam. Most prominently, the publication of caricatures in the Danish Jyllandsposten in 2005, portraying the prophet Mohammad in a way that reminds of Anti-semitic imagery, spurred massive protests and riots in which hundreds were killed all over the Muslim world. The murder of Dutch filmmaker van Gogh at the hands of a Moroccan immigrant; rage over a speech by the Pope that referred to Islam as an essentially “violent” faith; the pre-emptive cancellation of the Mozart opera “Idomeneo” in Berlin because of security fears; protests against the film Fitna by Dutch MP Geert Wilder; the ban on the niqab in France; the campaign against minarets in Switzerland, the burning of the Qur’an by a small extremist Christian community in the United States; campaigns against the establishment of a Muslim center close to Ground Zero in New York; and the murder of a Muslim woman in a German courthouse – they all seem to fit into the paradigm of “clashing civilizations” that has been dominating the debate on “Islam” and the “West” since almost two decades. This debate generally evolves around a set of questions: Where does freedom of expression end and where do xenophobia and defamation begin? Is there something called ‘Islamophobia’? Have integration policies towards Muslim immigrant populations in Europe failed? How reconcilable or irreconcilable are the imperatives for free expression and for equal Muslim cultural rights and citizenship? Do Muslims have essentially different worldviews and attitudes towards democracy, democratic values and gender-relations? Are Muslims fit for globalization? Does Islam allow for critical self-reflection? While these questions usually center on Muslim presence in Western democracies, there are only few attempts to equally understand the specific socio-political dynamics in those majority Muslim countries where protests occurred and that witness rapid social and political change and some of the fault lines they produce, too. This publication is based on the symposium “Cartoons and Minarets: Western Depictions of Islam and Muslim Public Protest” that the Middle East Office of the Heinrich Boell Stiftung held at the American University of Beirut, from 1-2 April 2011. Chris Allen, Ilan Halevi, Aijaz Ahmad and Khaled Ahmed reflect critically on Islamophobia. Chris Allen’s paper shows that the concept of Islamophobia, contrary to a general understanding that it emerged as a phenomenon in response to the events of 11 September 2001, actually have existed since two decades, during which it has undergone a continuous process of change, contestation, political manipulation, and dismissal. Exploring the concept of Islamophobia on three levels, its ideological dimension, its modes of operation, and its practices, Allen calls for a critical approach that acknowledges the existing lack of knowledge. This readable essay opens up the discussion, leading to additional reflections within a variety of contexts, showing the contested nature of citizenship, for instance, within Europe where the ‘Muslim’ category complicates the construction of a democratic public sphere. Aijaz Ahmad focuses on the political context of the development of Islamophobia; and Khaled Ahmad gives a nuanced interpretation of how to understand it as a phenomenon and as a concept. The essays by Abdelwahab El-Effendi, alZekri, Muhammad Kabir provide a critical contextualization of the Muslim-Encounters, looking respectively at Darfur, Bahrain, and Nigeria. They do this by examining the Muslim-Western encounter looking at Western posturing vis-à-vis Darfur, the response by religious society to the Danish cartoons in Bahrain, and again the religious factor and its role in the cartoons saga in Nigeria. Ray Jureidini raises brings into the discussion a brief but timely critical deconstruction of Anthony Giddens’s book Sociology, looking specifically at the question of ‘terrorism’. Further conceptualization of the Muslim-Western encounters are provided by short but crisp pieces by Ilan Halevi, Ebrahim Moosa, Ermete Mariani, and Larbi Sadiki.